Removing sediment from reservoirs is often suggested as a potentially better way to expand storage capacity than raising dam heights or building new reservoirs. This is a natural notion to explore given the cost and likely environmental impacts of traditional expansions. The cost of expanding reservoir capacity by removing sediment seems likely to be $5 to $20 a cubic yard or $8,000 to $32,000/af (at 1,600 cubic yards/acre-ft). 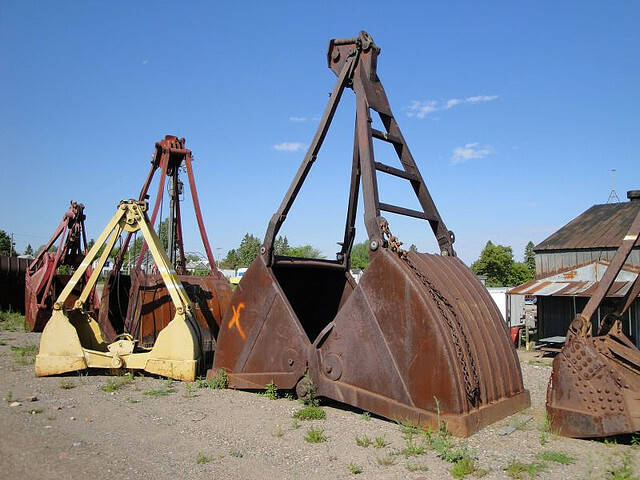 At these high costs, removing sediment would be done only rarely, in small quantities, for very valuable purposes when other alternatives are unavailable. For example, sometimes sediment that has accumulated behind flood and debris control dams in Southern California is removed for maintenance. But these are usually small dams built to protect homes and businesses from floods with enormous sediment loads. Sometimes sediment can be removed by releasing it through low elevation dam outlets when the reservoir is very low. This method, known as sluicing, can sometimes be done for small reservoirs. For larger reservoirs, sluicing is limited by two factors: a) the large amount of water that must be released to remove sediment and b) the tendency for most sediment to deposit at the inflow of the reservoir, far up and away from the dam, making it hard to sluice. Removing sediment must become more economical to be cost competitive with traditional reservoir expansion. The current cost gap is rather large. It should be noted that most of the largest dams in California have relatively little sediment because their watersheds yield relatively little of it. One study estimates about 1.7 maf of sediment across 1,200 dams in the state (Minear andKondolf 2009). 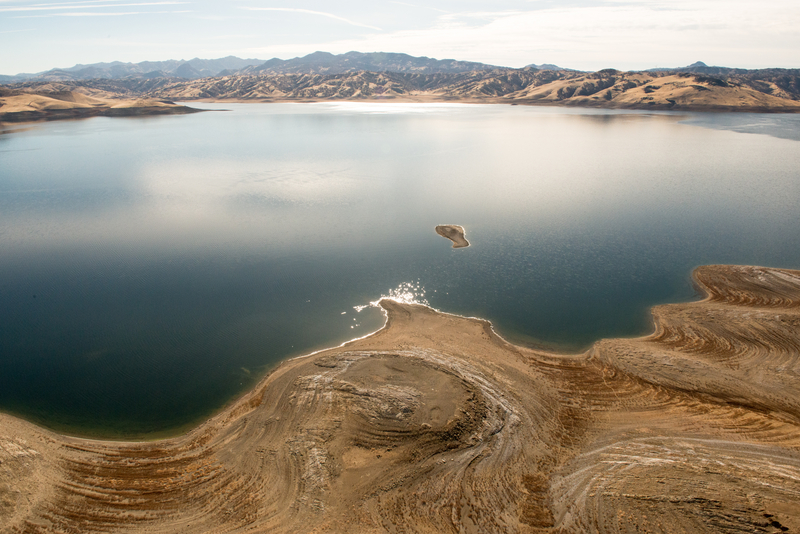 The scientists estimate that sedimentation could eliminate 15 percent of California’s reservoir capacity within 200 years. Most major reservoirs would see little gain from the high expensive of removing the material. Of course, a few of the 1,400 reservoirs in California might be worth expanding by sediment removal (and some reservoirs might be worth removing entirely). But these projects are likely to be so small and rare as to not have a major statewide benefit, and can probably be financed locally. Finally, reservoir capacity is not the same as water deliveries from a reservoir. Reservoirs do not create water; they only deliver water stored from some previous time. 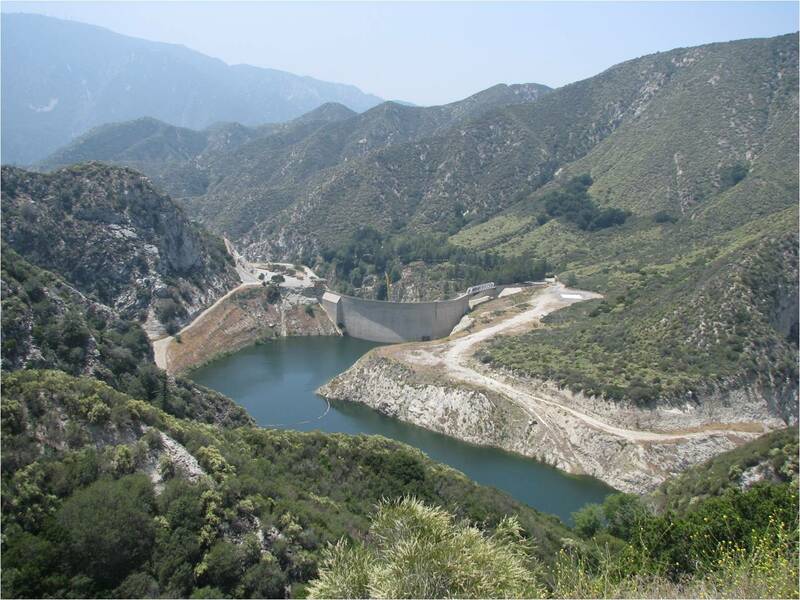 A reservoir expansion in California today is expected to yield on average only 7 percent to 14 percent of its additional capacity annually. Storage should always be looked at as a component of a larger water management portfolio. This entry was posted in Uncategorized and tagged Jay Lund, reservoirs, sediment removal, water storage. Bookmark the permalink. 20 Responses to Should California expand reservoir capacity by removing sediment? How much storage do we have in our aquifers? Everything I read says farmers are pumping more than can be replenished. Doesn’t that mean we have excess storage underground? Seems like infrastructure that monitors pumping and maintains aquifers at full capacity should be the first investment to increase storage. What’s the price/AF for filling aquifers? Groundwater generally is a much larger reservoir than surface water. I don’t have the numbers for California specifically at hand. The infrastructure to put the water into the ground is significant (pumps, pipes), and there are sometimes complications with water quality and regulations about injecting water versus letting it percolate in. Most of all, CA water law is completely disfunctional as far as monitoring and maintaining groundwater levels. To restore the water table and even out flows (a more stable level ) go upstream and reintroduce beavers. Their dams do all of that and provide wildlife habitat, most notabley for fish, including salmon. Save money and do the smart thing. Excellent article from a construction cost perspective. However, building a dam, adding wing dams or raising the elevation of an existing dam all require expensive pre-testing, extensive public review processses and planning. Millions are typically spent in consideration of a potential project and even then most projects die a premature death because of environmental or property right objections. See Pardee Dam expansion project as an example. Where sediments consolidate is quite predictable and small scale maintenance operations sucking out the sediment/sludge can be quite beneficial to the maintenance of a dam. Unfortunately a term known as “value engineering” usually comes into play and defunds responsible dam management and maintenance. Sludge drying beds should be a requirement for any dam that collects sediment. Thanks for this post, which makes me wonder: When reservoirs are planned and dams built, there’s a stated holding capacity, which is added into the state’s overall storage capacity and counted as available supply given the level of reservoir fill. If sediment instead of water begins to fill those reservoirs, is the diminished capacity subtracted from the state’s supposed 42 million af of available storage capacity? If recalculated (actual capacity accounting for lost storage due to sedimentation) to reflect a conservative aggregated statewide holding-capacity loss of 10 percent, then about 4.2 million af of anticipated supply is being counted as available, but is not behind California’s dams today. In other words, we actually have less water than we realize, which is a dangerous place to be in a bad drought. Please comment on this supposition. Thanks. It is common for dams to be designed with some quantity of sediment storage allowed for over some decades of nominal lifetime. There is also usually some “dead pool” of water in a reservoir which lies below the lowest reservoir outlet. In rare cases, pumps can sometimes be used to access the dead pool for high valued water uses. No matter what your opinion is of the water situation in California, certainly the need for more capacity and production (i.e. desalination) is vital for a state that is home to roughly 40 million people and is for the most part a semi-arid region. I’ve have long wondered why more water capacity and retention plans weren’t created in the Los Angeles area, which I lived in for the better part of five decades. A handful of towns here and there did but most did not, expecting water to keep flowing from regions like the Southern Sierra and the Colorado River. Here on the Central Coast in Paso Robles, where I’ve now lived for seven glorious years, we too are working on garnering water from every resource available. Growing capacity is a viable option to help with California’s ongoing water problems and this blog story offers some insight into how that may work and if it’s feasible. I believe everything must be done and expansion of current reservoir though sediment removal should definitely be explored. It seems insane that it’s nearly 5x the cost to remove sediment. That’s a good question. In some locations the removed material would have value if placed downstream for salmon habitat or construction, albeit at some expense. At other locations, there would mostly be just expense and much less beneficial use. Great article. However the problem is of lack of rainfall, not capacity. This is the most important paragraph in the above article: ” reservoir capacity is not the same as water deliveries from a reservoir. Reservoirs do not create water; they only deliver water stored from some previous time.” People forget that no matter how much capacity is added, there are existing contracts already in place that will usurp that water. The resource is already oversold to Southern California and agriculture. I would like to see an article that shows exactly how much water is already spoken for that is not being fulfilled in this drought. And, I’d like to know who is getting it. It could be that any capacity the taxpayers add will be to fulfill the few that already have existing contracts. That could loosely be termed as agricultural subsidy. Maybe a good investment, but let’s call it what it is. Or maybe we should call it Southern California subsidy. If so, how much should they be contributing to added storage? Ignoring reservoir sedimentation works great over the short term. However, ignoring reservoir sedimentation over the long term leads to a reservoir full of sediment, reduced or no project benefits, and very large retirement cost for future generation. Eventually, society will run out of affordable places to build reservoirs. There is a fine old water engineering textbook which has a section on reservoir sedimentation that begins something like, “it is the fate of all reservoirs to eventually fill with sediment.” Alas, there is no permanent solution to most problems. Excellent discussion! 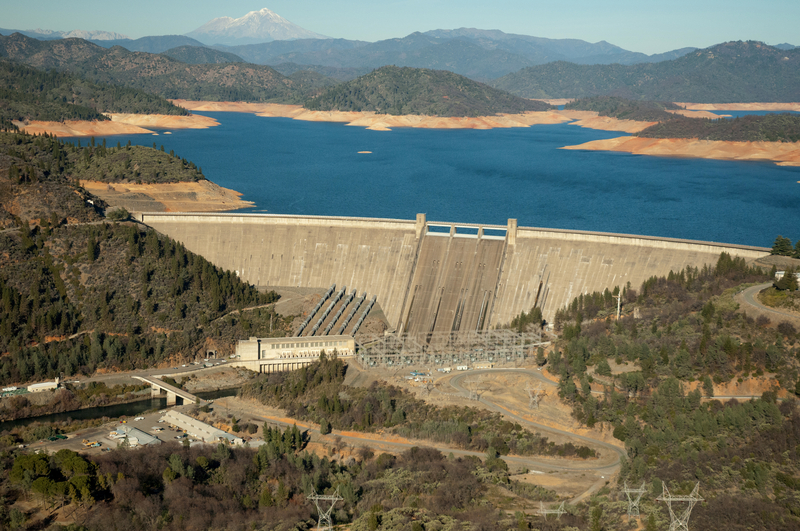 The article, however, doesn’t address other potential benefits from sediment removal from reservoirs – at least those in the Sierra – including the potential to remove contaminants such as mercury which create serious and expenses downstream water quality impacts. And, of course, depending upon the location of the reservoir the materials removed could include gold, sand, gravel and other valuable commodities. Agreed, Izzy. It also doesn’t address environmental costs of new capacity construction, which may be negligible from a financial perspective but could be politically important. Hi Jay—this topic of sediment in reservoirs interests me for another reason besides reservoir capacity. Sediment supply in the Sacramento River is decreasing, which will limit accumulation on tidal marshes in the estuary and affect whether or not they stay above rising sea level. A couple of years ago, I found some reports about ways to design or retrofit dams so that sediment passes downstream. Some examples are from Utah (http://www.water.utah.gov/Planning/ReservoirSedimant/Managing%20Sediment%20In%20Utah's%20Reservoirs1.pdf) and the Mekong River (http://www.mrcmekong.org/assets/Consultations/2010-Xayaburi/Annex3-Sediment-Expert-Group-Report.pdf). I wonder if other reasons besides reservoir capacity—tidal marshes, agriculture, beach nourishment, etc—would help the economics work out for finding ways to move sediment around dams. Excellent article, left me wondering if this was in response to a recent UC Berkeley Alumni Association article by Matt Kondolf…. In any case, sediment management should be considered pre-project if any new reservoirs are built, not treated as an afterthought to be dealt with by future generations. Oddly, this was drafted some weeks ago and was already in the queue. The question of removing sediment to expand reservoirs often comes up in droughts. I first heard it in the 1988-92 drought. I read your article with interest. While the thought that the reservoir is only a delivery system, it also provides protection to downstream interest whether or not there is a flood control pool. While projects are designed to accept sediment over many years, once that storage is filled and encroaching on space that was used to prevent the project from over topping by the design flood the project present a peril to downstream interest. Sediment production forecasting is not a iron clad forecast at best. A case in point is a 4 foot sediment load caused by the recent floods that occurred in Santa Barbara County behind Gibraltar Dam. Recent review of the Dam Safety report is silent on this very important aspect of Dam Safety. Prevention of dams being over topped depends on available space. When that space that was used for setting the design of the dam becomes filled or encroached upon then the dam is no longer provides the same safety as it was designed. Just another thought about whether sediment needs to be removed to regain capacity.